Pain is an unpleasant feeling that one faces due to a medical ailment or an injury. Each person would experience ache in a different manner. People might suffer from short term or long term pain. It is triggered due to the damage to the tissues. Only when ache is felt in the body people would notice it. This is just a defensive mechanism and it is an indication that you have to do something to stop the tissues from damaging further. It is classified into two major types such as acute and chronic pain. You have to know that pain is very beneficial from an important perspective. This is because only when you feel then you would know that something is wrong with the body and it is an alarm that you have to get treated immediately. When a person does not feel any pain at all, then the medical ailment would worsen day by day and might prove to be fatal. You have to consider pain as a symptom and address it accordingly. Acute pain is the sudden discomfort that a body experiences when you fall down, prick your fingers with a needle or even labor pain. When it lasts three to six months then it can be scheduled under the acute category. This type of ache would alert the individual about the tissue damage at a particular place and it would fade away soon with the treatment. During acute pain, your body would be put in fight or flight mode hence there would be a sudden increase in the heart rate. When the pain lasts more than three to six months then it might be classified as chronic pain. Most of the ailments that cause this type of discomfort cannot be cured through treatment. At this phase, fight or flight mode is stopped and the signals would overstimulate the nerves. Due to this, the agony might be permanent, or it would start aching at different intervals with a break in the middle. Chronic pain might range from mild to severe depending on the severity of the medical condition. Not everyone would experience similar symptoms of chronic pain and it would vary from one person to another. You might feel like squeezing, shooting, soreness, stiffness, throbbing, burning and stinging. A person would experience certain symptoms like difficulty in sleeping, weakness or feeling very tired, loss of appetite, frequent mood swings, and lack of energy. In fact, some people might not have any symptom at all. For them, the chronic pain would start after the injury or certain health issues in them. 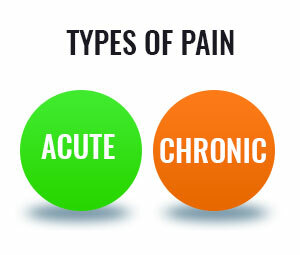 There are various treatment options available for helping people to get rid, of chronic pain. It might be taking drugs, surgery, natural remedies, chiropractic therapy, herbal remedies or yoga. A person can choose the one at which they are very comfortable at. We would mention these options in detail below. Medications such as Tramadol for treating pain are the most preferred one. This is very simple and it is very affordable compared to other methods. So Buying your Tramadol can relieve you from Pain for sure. In every medication, there will be different dosage strengths which can help a person who suffers from moderate to severe pain. A chiropractor is a person who gives this treatment. The chiropractic system is a non-surgical method and most of them found to be very effective. These chiropractors would concentrate on the spinal manipulation that causes pain in the body. This manual therapy is very effective in the treatment of lower back pain. When the therapy is taken, it can be beneficial for the person with pain for a longer period of time. This is one of the safest methods that is followed now to reduce the pain in the body. Some of the pains that can be treated with this method are repetitive strains, neck pain, headache, lower back pain, arthritic pain, car accident, and sports injuries. If an individual is suffering from minor pain then they can use these natural remedies. Taking this would help him or her to reduce the pain. Applying an ice pack or heat pack over the region affected by pain could be beneficial. In case, the pain is in the hand then place a towel and over it keep the ice pack. Avoid contacting the skin directly with the pack. Following this procedure for two to three times a day for twenty minutes each can help you to lessen the effect of pain. The best part of using natural remedies is that there is no ill effect triggered by using this. 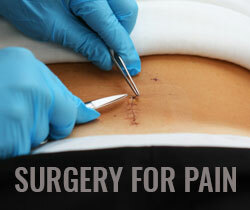 Doing a surgery for chronic pain is very rare. This would be done only if all the treatment options are not beneficial to a person. Undergoing a surgery would definitely provide you with a relief however this would cause a permanent damage on the sensation like a touch, light or temperature changes. There are also chances that a person would experience a different kind of pain. In decompression, the healthcare professional would open the skin and remove the vessels that are causing the pain. There are other surgeries like electrical nerve stimulation, nerve ablation, and chemical sympathectomy. A medical specialist would select one based on the need of the person. Yoga is a technique that is followed for thousands of years. Doing yoga would not only cause physical benefits but it would also promote mental benefits. People who are suffering from chronic or acute pain can go about practicing yoga with the help of the experts. Yoga is formulated as slow movement postures which can provide easiness in the body. Individuals can get relieved not only from lower back pain but also from other types of pain. Cloves can be powered and it can be used as a topical powder. It can help a person who is suffering from a headache, tooth pain, or arthritis inflammation. Turmeric has anti-inflammatory properties which can protect the body from further damage in the cells and tissues. Kratom can also cure you of pain. Nowadays you can buy kratom herbs easily from online vendors. Ginger, willow bark, and devils claw are some of the herbal remedies. When massage is done, it would relax the muscle tissues. The nerve compressions can be prevented thus preventing the pain and muscle spasms in the body. Massage should be done only by the experts to get positive effects on the pain. Acupuncture is also one of the natural remedies for pain. A thin needle would be inserted on the region with pain by the experts and it reduces the pain. Only the experts should do this treatment and not others. This is an ancient Chinese medical practice which is still followed as it is very helpful for people. In this technique, the pain is relieved by promoting serotonin release in the body. What are the ways to treat pain in children?